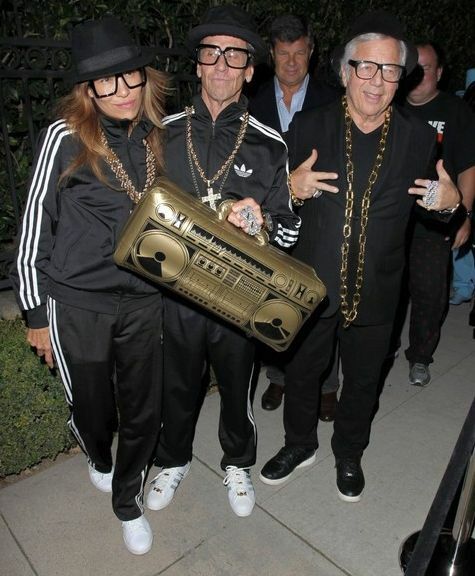 Masshole Sports: Robert Kraft Dressed As Run DMC For Halloween...Proving He's The Most Awesome 74 Year Old On The Planet. 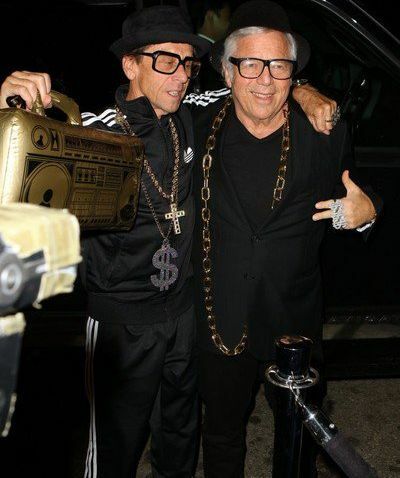 Robert Kraft Dressed As Run DMC For Halloween...Proving He's The Most Awesome 74 Year Old On The Planet. 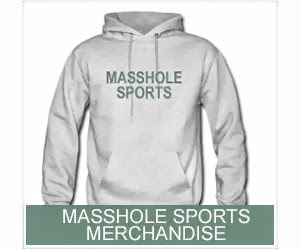 The dude with Robert Kraft is billionaire Hollywood producer, Brian Grazer. The girl isn't famous enough to be identified, I guess.